Mr. Brandon Miyoshi joined Rolling Hills Country Day full-time in August of 2012, but he previously worked at Country Day’s Summer Camp for 7 years. He is a local product, attending Sliver Spur Elementary School, PVIS, Palos Verdes Peninsula High School, and earned his undergraduate degree from USC in 2004. 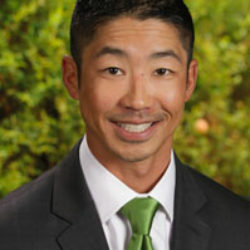 Before joining Country Day full-time, Mr. Miyoshi spent 9 years working in the commercial real estate and finance industries with several Fortune 500 companies. When asked what he loves most about RHCDS, Mr. Miyoshi replied, “I get to work with an extraordinary staff and faculty, while getting to know and teach all of our wonderful students, watching them grow and mature throughout the years.” In his free time, Mr. Miyoshi enjoys cooking, any type of outdoor activity, and all sports, especially football and baseball. He has also coached several youth football, baseball, volleyball and basketball teams.